Good music knows no bounds. Remixing the words of the brilliant Horace Mann, “music is the great equalizer of the conditions of men.” The simple act of going to a show can turn strangers into friends with common interests, can give parents something to talk about with their kids over dinner, and can make equals out of people with drastically varied economic situations. 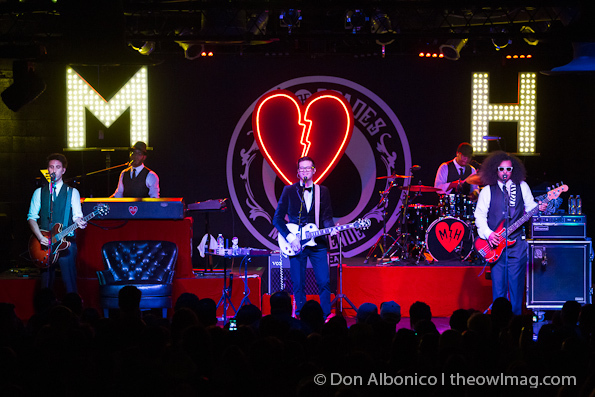 On Tuesday evening, Mayer Hawthorne assembled the most eclectic audience in Sacramento and brought them together as equals for the sole purpose of enjoying some seriously good music. The dapper Mayer Hawthorne took the stage with his smartly dressed bandmates and dove right into “You Called Me” off 2011’s How Do You Do. 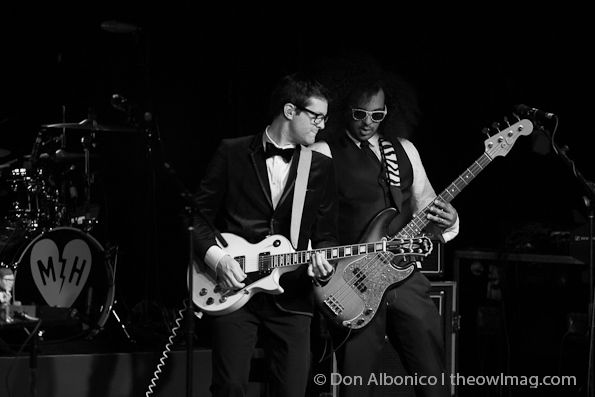 The tag “retro” is often applied to Mayer Hawthorne’s 1960’s inspired aesthetic entailing heartfelt autobiographical songwriting and synchronized on-stage swaying a-la Smokey Robinson and The Miracles. From Mayer’s buttery smooth falsetto to the raw honesty of how a woman can make a man feel invincible, the band’s performance of “Shiny & New” from 2009’s A Strange Arrangement embodied every characteristic that made Motown the golden age for R&B music. However, Mayer Hawthorne is not just a guy from the outskirts of Detroit trapped in the wrong era of music. What he effortlessly excels at is melding classic styles with other modern influences. It’s best described as “reconstructed vintage,” starting with a classic framework and reworking it by drawing from other contemporary styles. The performance of “Just Ain’t Gonna Work Out” exemplified this reconstructed style where time-honored sounds blended the juxtaposed via a hip-hop remix. 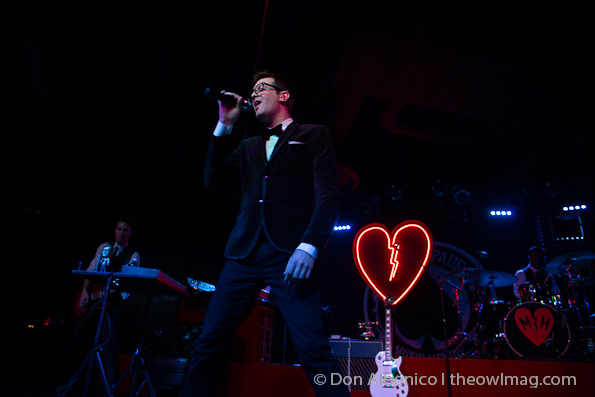 It’s clear from Mayer Hawthorne’s studio work and live performances that he reveres those artists who have influenced his creative process, and throughout the evening, Mayer paid tribute to them. First with an a capella performance of the skit that appears at the end of Slum Village‘s “Tell Me” in honor of the late J Dilla and later with a cover of Hall & Oates‘ “You Make My Dreams” as a shout-out to his friend Daryl Hall, whose music he grew up listening to on vinyl. 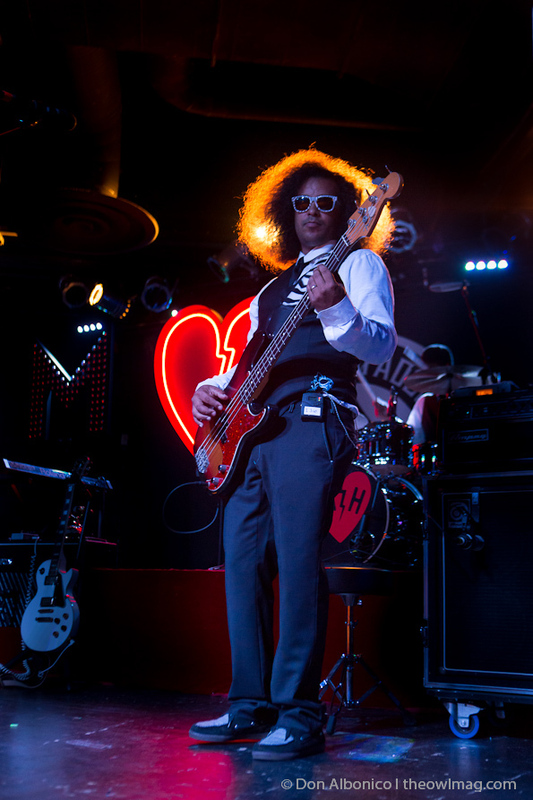 Mayer Hawthorne’s musical idols are as varied as his fan base, but just as he is the common denominator between Slum Village and Hall & Oates, his music is also the common ground uniting arguably one of the most diverse group of fans in the industry. 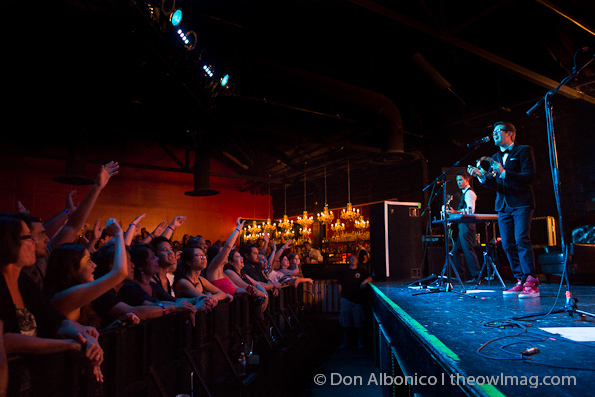 Catch Mayer Hawthorne and The County on tour with Foster The People this summer in a city near you.